The legendary broadcaster's epic eight-part series is streaming now. 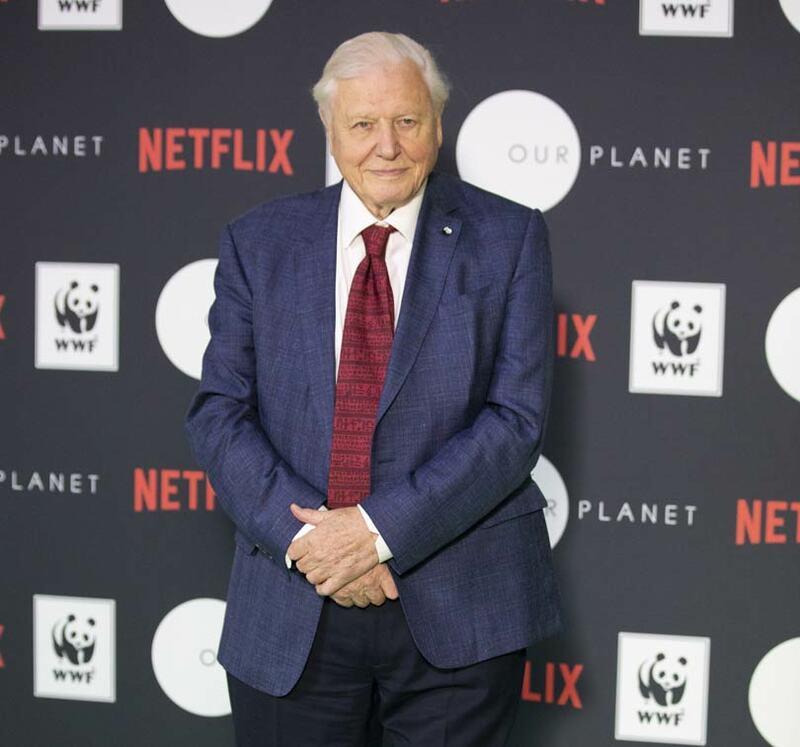 Sir David Attenborough and Netflix are teaming up for one of the TV events of 2019 – Our Planet. 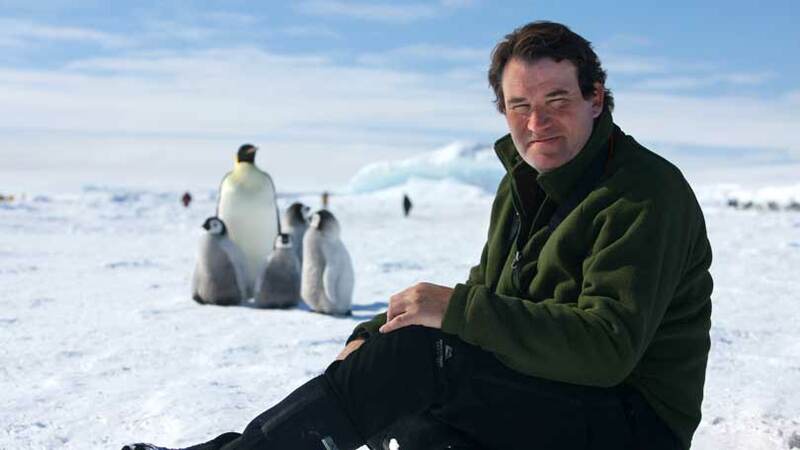 The legendary broadcaster voices the documentary series, which reunites him with director Alastair Fothergill, the creator of the original Planet Earth and Blue Planet series. Our Planet is a collaboration between Netflix, Silverback Films and WWF, the world’s leading conservation organisation. Every episode is available to stream to Netflix members now. Sir David Attenborough gave a passionate speech at the launch of his new documentary series. "Nature once determined how we survive. 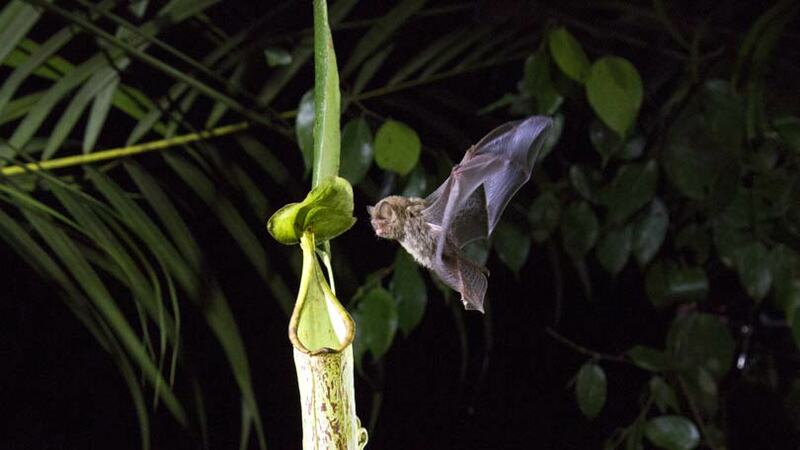 Now we determine how nature survives," said the national treasure. There was an exclusive screening of the first episode of Our Planet around the UK on Thursday, April 4th. The screening included a live stream of interviews with ambassadors and celebrities at the Natural History Museum, including Prince Charles and Sir David Attenborough. Prince Charles, Prince William and Prince Harry all attended the Natural History Museum event. This event series will live off the screen with an incredible soundtrack, a book and a new website, making the series a fully immersive experience for viewers. The Our Planet Companion Book is available now, the website OurPlanet.com is live and the original score by Steven Price is also available. The series soundtrack, in partnership with Decca Records/Universal, featuresthe poignant original song 'In This Together', performed by Ellie Goulding, which is co-written by Price and Goulding. This will be the first ever CD release using renewable seaweed packaging. "I felt like I was joining the ultimate team of earth defenders," said Goulding. "It’s a series that simultaneously wakes you up to the emergency but also instils wonderment. Watch it, and you will never take the earth for granted again." Composer Steven Price has developed music that draws from each episode’s diverse biome, allowing for a breath-taking and unified soundtrack, performed by the London Philharmonia Orchestra at Abbey Road. "For every moment across the eight films, from scenes of epic scale to those of incredible intimacy, my focus has always been on the emotional connection that the music could provide in support of the remarkable images," said Price. "My hope is that the music for these films can take the audience on a real journey, helping to inspire the changes we need to care for our home." The companion book to the series, by Alastair Fothergill, Keith Scholey, with Fred Pearce, takes readers on a journey across the globe’s different biological realms to present stunning visuals of nature’s most intriguing animals in action, and environmental change on a remarkable scale. With a keepsake package featuring debossing and foil stamping, this stunning coffee table book reveals some of the most amazing sights on Earth and reinforces the beauty and wonder of this place we all call home. The book will be published simultaneously across the globe: by Ten Speed Press in the US, by Bantam Press in the UK and in fourteen other languages. Our Planet will be accompanied by an array of free online resources at OurPlanet.com to help people of all ages understand the importance of Earth’s habitats and how they can help them thrive for generations to come. The site will go live on series launch day, April 5, 2019 and will help give fans a deeper understanding of the wider stories, issues and solutions profiled in the series through a number of additional films including behind-the-scenes footage. OurPlanet.com will also feature a state-of-the art interactive explorable globe taking us on a journey from the depths of the high seas to the hidden corners of our jungles, allowing us to see the world from a completely new perspective and showing the urgent action needed to protect and restore nature. OurPlanet.com will also is providing a wealth of educational resources, created in partnership with WWF, for schools, youth groups and families to engage young people in the global conversation around the series. These include downloadable classroom materials and guides for educators, an ‘Our Planet Live’ platform offering live link-ups with experts for classrooms all around the world, and a ground-breaking free nature ID app - Seek - developed for Our Planet by iNaturalist, which helps budding naturalists to gain a better understanding of their local environment and global biodiversity. Netflix has unveiled the key art for the series - a collection of beautiful pictures of animals featured in the series. The stunning photography and branding for the series includes the tag line 'Share the wonder of the one place we call home'. Animals included in the artwork included orangutans, leopards and a baby seal. Netflix have revealed the full wonder of the extraordinary series in the first extended trailer for Our Planet. From the creator of Planet Earth, the eight-part series features never-before-seen footage of wildlife and their habitats - while also revealing why the natural world matters to us all and what steps must be taken to preserve it. The series is accompanied by behind-the-scenes content which will launch simultaneously on Netflix. 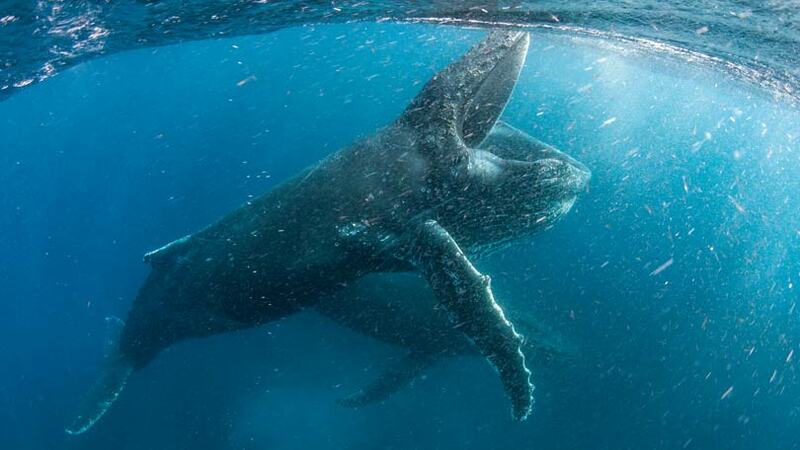 "Being a part of Netflix's Our Planet is an incredible honour. The series is spectacularly beautiful and the message of conservation could not be more timely or important," said Penélope Cruz. "Our Planet transcends borders to deliver an inspiring message of wonder, respect and care for our natural world," said Salma Hayek. "I'm honoured to work with Netflix to help bring the series to those in my home country of Mexico, and to a Spanish-language audience throughout Latin America and the rest of the globe." Where is Our Planet filmed? In the first episode, One Planet, viewers will travel from the Brazilian rainforest to Norway's Svalbard archipelago, discovering how each fragile habitat is connected and why they are all essential for life to thrive on this planet. Subsequent episodes capture Earth’s key biomes, or habitats: the icy frozen worlds, jungles, coastal seas, deserts and grasslands, high seas, freshwater regions and forests. Thanks to an extensive team that includes some of the world’s best wildlife cinematographers, researchers and scientists - and the latest in 4K camera technology - each episode features several stunning sequences that have never been filmed before. Will it have the classic Attenborough behind-the-scenes footage? One of the most popular parts of Attenborough's recent documentary series for the BBC has been the final 10 minutes of every episode, which takes viewers behind-the-scenes on how the shows were filmed. The 'making of' segments will be included on Netflix for Our Planet, but viewers will have the option of whether to view them or skip to the next episode. Producer Alastair Fothergill told the Radio Times: "The ten-minute making-ofs - they’re on Netflix. You know when you finish it starts the next episode? What you’ll have is the choice of clicking and watching the 10-minute making of, or it’ll automatically start the next episode. "That’s great because we know people love those." When does Our Planet start? Viewers watching the Rams and Patriots game got a 30-second 'first look' trailer, which featured the stunning footage we’ve come to expect from Attenborough and his collaborators Silverback Films. Our Planet will explore everything from Arctic wilderness and mysterious deep oceans to vast landscapes of Africa and diverse jungles of South America. A four-year project filmed in 50 countries and every continent of the world, Our Planet required 600 crew members and three and a half thousand filming days. 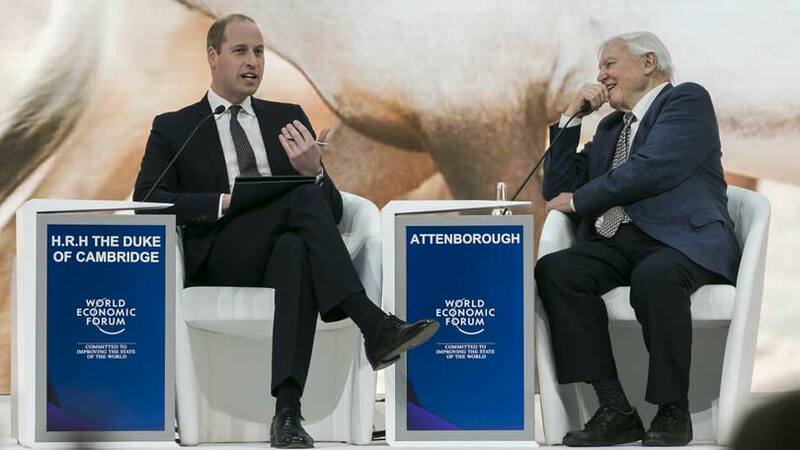 Speaking at WWF’s State of the Planet Address event in London, Sir David Attenborough said: "Our Planet will take viewers on a spectacular journey of discovery showcasing the beauty and fragility of our natural world. Alastair Fothergill, director at Silverback, said: "Our Planet is our most ambitious endeavour to date, we hope it will inspire and delight hundreds of millions of people across the world so they can understand our planet, and the environmental threat it faces, as never before. "The crew have ventured to all corners of the globe to capture breathtaking natural history sequences and using the latest filming technology to bring these never-filmed-before moments into people’s homes. By launching on Netflix at the same time all over the world, this series will enable people to connect to and understand the shared responsibility we all have. We are genuinely all in this together." Colin Butfield, Executive Director of WWF-UK and executive producer of Our Planet, said: "We’re the first generation to know the full impact of what we’re doing to our planet, and the last that has the chance to do anything about it. We’re at a unique moment in our history where we have the chance to put things right and start on the path towards a better future. Our Planet will showcase the wonders of our world at the critical time when we need global action to protect it." He added: "If we don't recognise the kind of connections I’ve been describing, then the whole planet comes in hazard, and we are destroying the natural world and with it ourselves." If you can't wait until April, there are already a collection of classic Attenborough series available to binge now on Netflix. Popular shows from the BBC including Life, Planet Earth, Africa, Blue Planet, Frozen Planet and The Hunt are all streaming now on Netflix. Watch Netflix with BT TV and pay for everything with one bill.